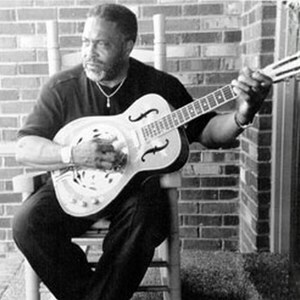 James "Nick" Nixon is one of the foremost vocalists in the blues world today, as well as being an outstanding guitarist and bandleader. As he enters his sixth decade of performing in the music business, Nixon has been recognized worldwide for his talents. As a velvet-voiced blues/R&B entertainer, Nixon has gone from being a Chess recording artist in the '70s to his latest (2005) acclaimed recording on the Buncy label, Back Down South. This new CD follows his successful 2001 release on the Black Magic label, No End to the Blues. As a velvet-voiced blues/R&B entertainer, Nixon has gone from being a Chess recording artist in the '70s to his latest (2005) acclaimed recording on the Buncy label, Back Down South. This new CD follows his successful 2001 release on the Black Magic label, No End to the Blues. In the gospel world, Nixon released a CD entitled Me, Myself and The Lord, which was named "best gospel album of 1998" by Mark Weber, editor of Behind the Scenes, a New York radio and recording industry newsletter. Nick has also produced albums by many of the greats in the gospel genre, including the world-famous (and Grammy winning) Fairfield Four. Nick has been the recipient of the KBA (Keeping the Blues Alive) Award from The Blues Foundation, the highest award given in the field of blues education. Along with his partner, Shannon "Bayou" Williford, Nixon has performed an average of 60 educational shows yearly; covering 8 states in the Southeastern USA. For information about his educational programs on blues and R&B music please visit American Roots Music Education at www.americanrootsmusic.org. As a long-time member of The New Imperials, an act with a forty-five year history, he has worked with many of the top performers in the world. Nixon is something of an institution in The Music City, regularly performing for civic functions and even having sung before thousands at the Riverfront, accompanied by the Nashville Symphony. His blues duo, Nick and Bayou, is the only act to have ever sung in the chambers of the Nashville Metro Council. Always eager to give back to the music he loves, Nixon serves on the board of directors of The Blues Foundation in Memphis, Tennessee. Despite such a varied and successful career in the music business, Nixon is still remembered by many as a friend and sometime stage mate of the late, great Jimi Hendrix. Nick befriended Hendrix and his pal (and later to be Band of Gypsies member) Billy Cox when they arrived in Nashville and became part of the legendary Jefferson Street scene in the early '60s. To this day Nick often writes and performs with the still-formidable Cox. Nixon recently retired from Metro Parks where he was a guitar instructor for 35 years, impacting many music students. Currently, James "Nick" Nixon continues to share his gifts with the world on a daily basis. He performs solo or with a duo or trio, as well as with a full band, featuring some of the finest musicians in the Music City.